Gul Dukat: Well, that’s a very interesting question…I’m sure we can work out some kind of arrangement to obtain that information that will be to everyone’s satisfaction. The allegedly drunken garbage-truck driver who killed an Australian tourist near Central Park Fridaywasn’t impaired by the alcohol he drank that day — because he ate a chicken-salad sandwich before getting behind the wheel, his lawyer argued in court Saturday. Felipe Chairez, 44, was charged with driving while intoxicated after slamming his truck into 23-year-old Madison Jane Lyden, who was riding a rental bike just before 5 p.m. on Central Park West, police said. Police said they found three empty beer cans inside Felipe Chairez’ sanitation truck after they stopped him at the scene of the fatal collision. But the beers wouldn’t have affected his driving because of his lunch order that day, his lawyer claimed at Chairez’ Saturday arraignment. “If he had a chicken salad sandwich, the alcohol may have been absorbed by the lunch he had,” said lawyer Kenneth Ware. Chairez blood-alcohol level at the time of the crash was between .04 and .06, according to the court documents. Lyden had veered into Chairez’ lane near West 67th Street and Central Park West after an Uber barged into her bike lane, police said. As she navigated around the livery car, Chairez slammed into her with his sanitation truck. Chairez was stopped by police at the scene, and admitted that he drank two beers before getting in the driver’s seat, according to court documents. He was arraigned on the misdemeanor charge of operating a motor vehicle while under the influence of alcohol or drugs and released on his own recognizance. SPRINGVILLE — Indiana State Police say a Northwest Indiana man was intoxicated while driving a semi truck north of La Porte on Monday morning. About 10 a.m. Monday, a La Porte County Sheriff’s deputy notified ISP of a truck driver carrying beer from a Family Express at the intersection of U.S. 20 and Ind. 39 near Springville, according to a statement from state police. A state trooper spotted the semi westbound on U.S. and pulled it over. He found the driver, identified as 58-year-old Garry Eriks of Griffith, had alcoholic beverages in the driving compartment of the semi, police said, and he seemed to be intoxicated. 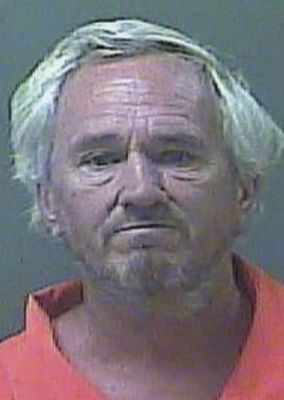 Eriks was arrested and taken to the La Porte County Jail, where he was charged with operating while intoxicated and cited for for violations of Federal Motor Carrier Safety Regulations. JOPLIN, Mo- The Joplin Police Department arrested a man after he sped through a series of signal lights then stopping in the middle of the road and dancing outside his car. According to the Departments Facebook post, the incident happened Wednesday late afternoon around 4 p.m.
An Officer was called and caught up to the suspect and stopped it. The male suspect was taken into custody without incident. He was arrested for Driving While Intoxicated with a BAC of .10, careless driving, and other charges. On August 8, 2018 at 3:54pm we received a call about a speeding car on north main that was running red lights. An officer caught up to the vehicle at 5th and Main and stopped it. The vehicle stopped quickly in the middle of the road, the driver turned his radio up very loud and got out and started dancing in the center of the roadway ignoring officer’s commands. The male was approached and taken into custody without incident. He was arrested for Driving While intoxicated with a BAC of .10, careless driving, and other charges. Driving while impaired is no laughing matter and we are fortunate that no crashes were caused, and the male was located. We appreciate citizens calling such behaviors in so that we can act on their information. This was one of 3 DWI arrests we made yesterday evening. NASCAR chairman and CEO Brian France will be taking an indefinite leave of absence after being arrested for driving while intoxicated and criminal possession of oxycodone. On Sunday evening, France was reportedly pulled over in Sag Harbor, New York after running through a stop sign. Police said that France had a blood alcohol content of 0.18, more than double New York’s 0.08 legal limit, and was in possession of oxycodone pills. He was arrested and held overnight. France apologized on Monday, saying in a statement that he would be taking a leave of absence starting immediately to focus on his “personal affairs.” “I apologize to our fans, our industry, and my family for the impact of my actions last night,” he added. France has served as chairman and CEO of Nascar since 2003. His uncle, Jim France, will take over his roles on an interim basis. Brian France is the third-generation leader of NASCAR. His grandfather, Bill France, founded the company in 1948. The report is the product of a 2017 bill passed by the General Assembly ordering a review of DUIs and other similar crimes involving driving and drug and alcohol use, and uses data from 2016 cases in Colorado. It also found that driving under the influence is often a repeat offense, as about 38 percent of people charged in 2016 had prior DUI convictions. The report found that the impaired driving charge rate peaked at age 24 for women and 25 for men. The report is also the first to correlate data involving marijuana use and other drug use by drivers charged with driving while impaired. The report shows that 86 percent of those arrested who received toxicology screenings had at least one substance—whether it be alcohol, marijuana or other drugs—in their system. About 13 percent had more than one—the most common being alcohol and marijuana. Only 1 percent of people screened had no substances in their body, the report says. More than 91 percent of all toxicology screenings found alcohol while marijuana was detected in 6 percent of people who were screened, though the number of agencies that tested for drugs and the type of drugs tested for was not consistent across the state, the department wrote. But the report also found that cases involving only alcohol saw a 92 percent conviction rate, while cases involving only THC, the psychoactive ingredient in marijuana, saw conviction rates of 69 percent. 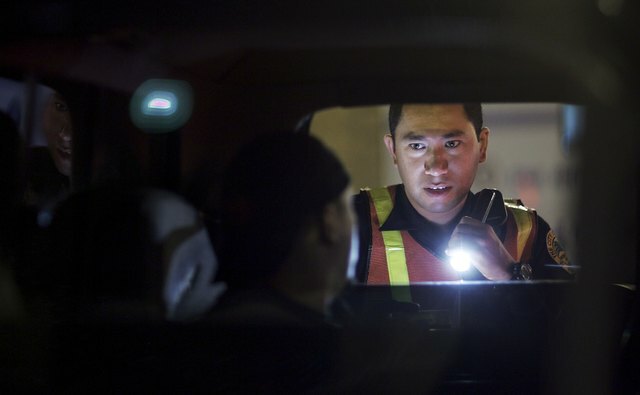 And it found that whether or not toxicology screenings were done didn’t have a major effect on whether or not a person charged with impaired driving was convicted. Cases where toxicology reports were taken saw conviction rates of 89 percent, while cases with toxicology screenings saw a conviction rate of 86 percent. That being said, the report notes that the number of Colorado law enforcement officer trained to identify drug-impaired driving has steadily risen from 129 in 2012 to 228 as of May 2018. The state’s urban counties saw the highest number of DUIs, with Arapahoe (3,157), Adams (2,853), El Paso (2,750), Jefferson (2,489) and Denver (2,268) counties rounding out the top five. The 106-page report includes a host of detailed information and graphics showing how THC affected drivers in studies and other impaired-driving related statistics researchers used to put the report together. But officials pointed to the repeat DUI rate and the high numbers of young men driving while impaired as reasons for concern. Pop singer Aaron Carter were arrested after another motorist called 911 to report that the musician was “driving all over the road” on a Georgia highway, a sheriff’s captain said Monday. Carter said on Twitter that he believes his “celebrity was targeted” during his weekend arrest in the northeast Georgia mountains on charges of driving under the influence and drug offenses. “He was driving all over the road and driving into the median,” Habersham County sheriff’s Capt. Floyd Canup said. The 29-year-old singer from Port Richey, Florida, was released on bail Sunday. He’s accused of driving under the influence, possession of marijuana, and having drug-related objects, according to jail reports. Georgia law doesn’t allow the type of marijuana found during the arrest, Canup said. “It’s not the green, leafy type which he had,” he said. “He was seen behind the wheel before the vehicle pulled in,” Canup said. Carter’s girlfriend, Madison Ann Parker, also was arrested and charged with obstructing or hindering law enforcement officers, possession of marijuana and possession of drug-related objects, jail records show. Carter, whose older brother, Nick Carter, is a member of the Backstreet Boys, began performing at age seven. His second album, Aaron’s Party (Come Get It), released in 2000, sold three million copies in the U.S. and led to guest appearances on Nickelodeon. He also started touring with his Backstreet Boys. In 2009, Carter was a contestant on ABC’s Dancing With the Stars. Redding Police said someone reported around 8 p.m. Sean D. Vinson was “extremely intoxicated” and was seen getting out of the driver’s seat of a 2000 Ford Expedition at the Chevron gas station on Tarmac Road. The police recognized him as the man they’d arrested two days prior, and witnesses at the scene at that time had taken away Vinson’s keys. That day, officers said they also found loaded firearms and an open container of alcohol in the pickup. 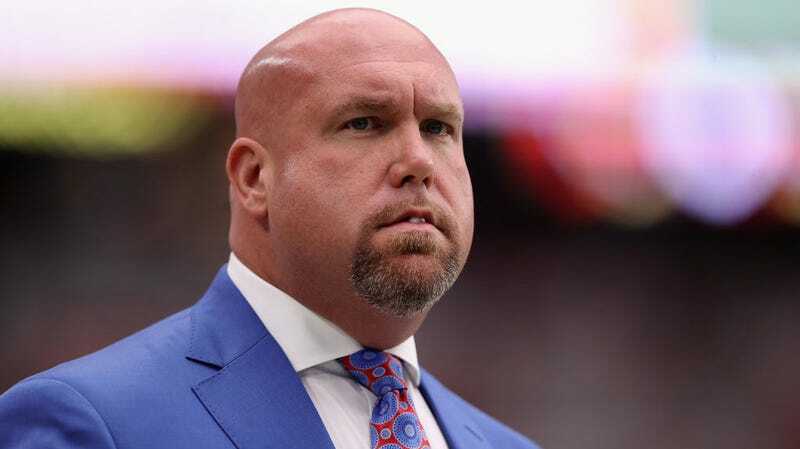 Arizona Cardinals general manager Steve Keim was charged with driving under the influence after a traffic stop in Arizona the night of July 4, reports KTAR News 92.3. AZ Central says Keim was nabbed by a checkpoint in Chandler, southeast of Phoenix, just after midnight on July 5, and was released from custody later that morning. The NFL’s personal conduct policy and history of handling DUIs suggests some sort of league punishment is in Keim’s future, including possibly a fine or suspension. 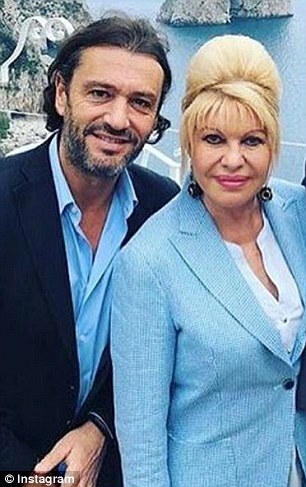 Ivana Trump’s ex-husband Rossano Rubicondi has been accused of violating his probation following his 2016 DUI arrest. Legal documents obtained by DailyMail.com reveal Rubicondi has failed to meet conditions which include paying $543.50 in fines, 50 hours of community service, treatment recommended by DUI school, vehicle immobilization for 10 days, and three months of Ignition Interlock in his car. He also failed to complete a Victim Impact Panel and pay a $100 donation to the Palm Beach Victim Services. 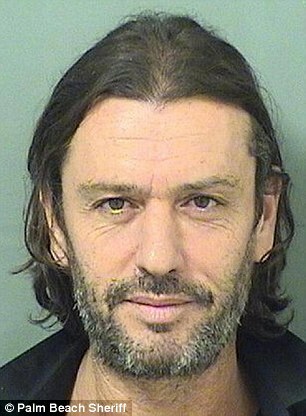 The 46-year-old former model, who was married to Ivana, 69, from 2008 to 2009, was placed on probation last July after he was arrested for drunk driving in Loxahatchee, Florida on December 8, 2016. 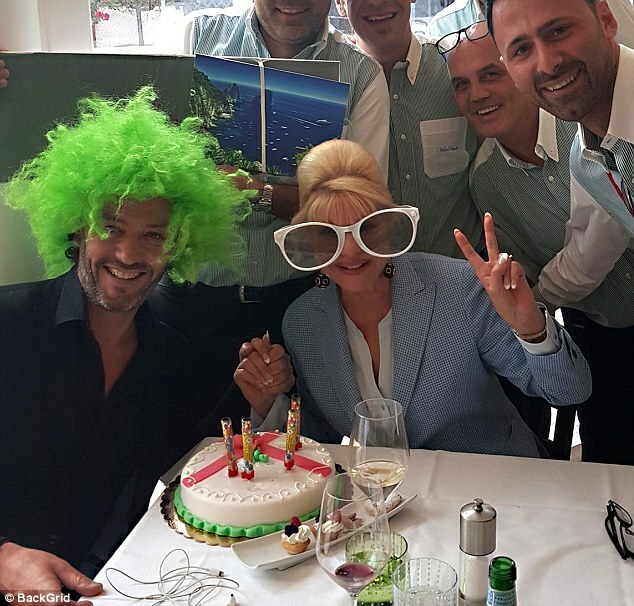 The couple divorced after one year of marriage, but have been recently seen together gallivanting around Europe. An affidavit shows Rubicondi was leaving a party around 2am in his black Mercedes Benz GLA when he called the police himself and said he wanted to go to jail. When police arrived at the scene, the officer noted there was a strong odor coming from the car and Rubicondi had taken a drink from a wine glass. Rubicondi was described as being ‘very cooperative’ although his speech was slurred and he could not keep his balance. Results of a breathalyzer test showed he had a blood-alcohol concentration of .140 – almost double the legal limit of .08. The report also states that Rubicondi admitted to drinking vodka and wine with friends before getting behind the wheel. Last year, the DUI charge was dropped and Rubicondi pleaded guilty to reckless driving. He was sentenced to 12 months’ probation, $500+ in fines, ordered to complete DUI school, complete 50 hours of community service and have an interlock alcohol monitoring device put in his car. Since then, he has failed to fulfill any of those requirements.